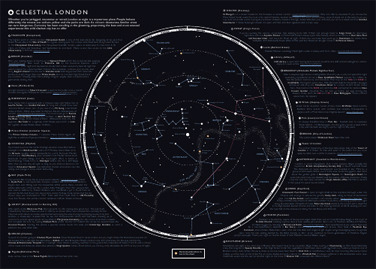 Ever thought the ribbon of the River Thames, weaving its way through London, looks a little like the band of the Milky Way galaxy, streaking across the night sky? Me neither, but it’s a novel idea that has inspired “Issue C” of Curiocity, an occasional series of maps of London quirks and novelties. 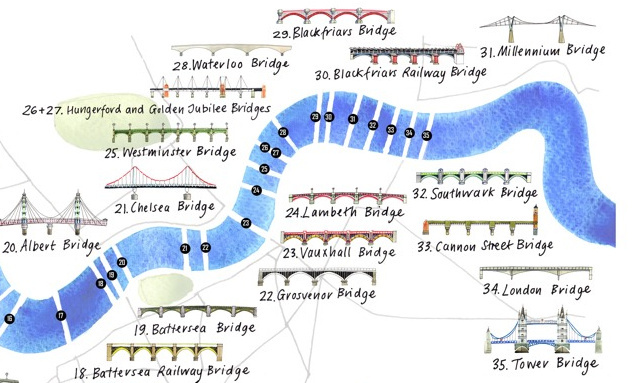 Thanks to the team for sending me a copy of the map which I promptly lost – in its folded state it is exceedingly small (about an inch wide and three inches tall) so the photo of the map here is from their website. 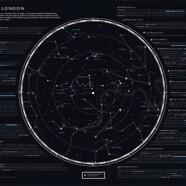 Unfolding the map reveals a circular plot, seemingly of stars, joined together to form constellations, and the aforementioned galaxy – on looking closer the points reveal themselves as various London landmarks, attractions and views to be enjoyed during the hours of darkness – orange stars highlight particular places to see at sunrise. Key night-bus routes are drawn on, to link groups together. 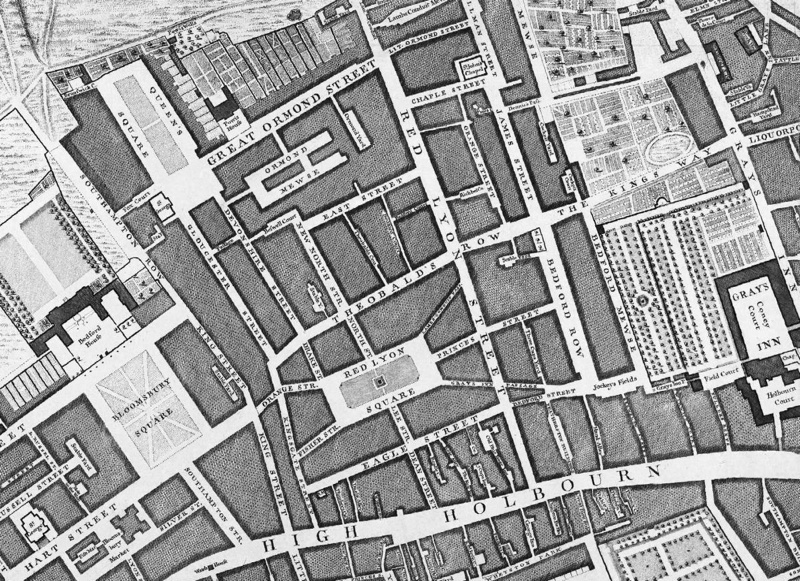 The back of the map contains detail on the locations featured. 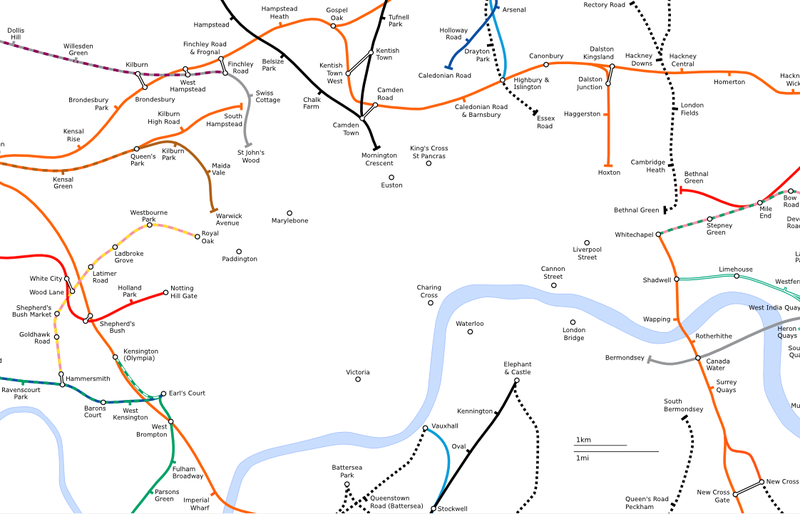 It’s certainly one of the more abstract – and minimalist – maps of London we’ve seen, but it’s nice to see a fresh, new map of London, drawn in such a novel way. 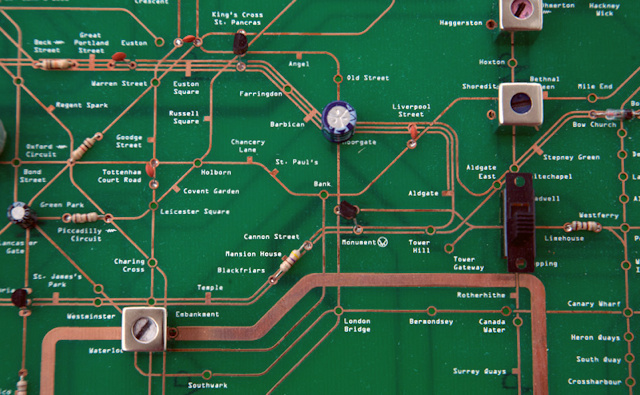 Don’t use it for general navigation, but use it to inspire a late night wander. You can by it online or from select bookshops in central London. 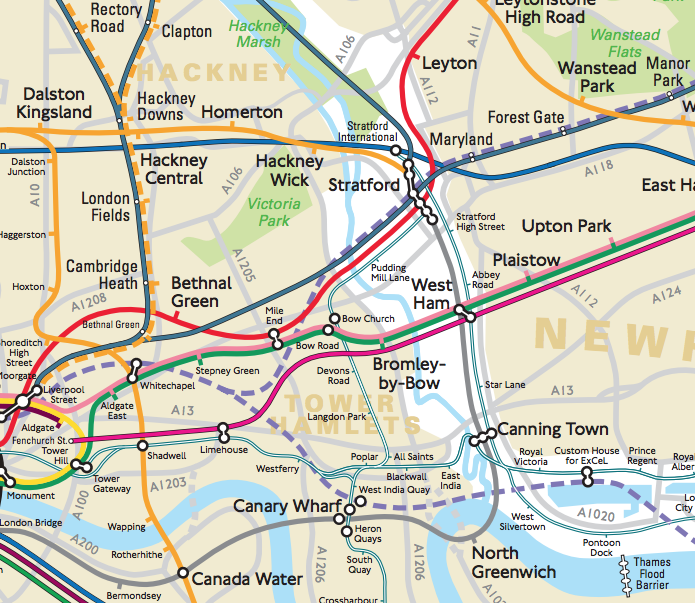 The map was created by Mike Hall and the Curiocity editors.